“Back in June, Planned Parenthood Action Council hosted a comedy night—Liberty, Laughs and Libations. Our intention was to create an inclusive space where we could share some lightness during a politically dark time. Cocktails, good music, and laughter wrapped together sounded like a fun event. For the most part we succeeded. However, Planned Parenthood could have done better at ensuring our Deaf and hard of hearing guests were included as a part of the community and audience—rather than being made to feel part of the show. We hired ASL interpreters (and told the talent that they would be onstage) to provide an accommodation for folks in the audience who rely on interpreters to translate the spoken comedy. We did not hire ASL interpreters to be used as a device by the stand-up comedian to get a few laughs. For those in the audience at Liberty, Laughs and Libations, you know that the comedian chose the latter. At Planned Parenthood we would like stand-up comedy to be a tool for social change. Stand-up in particular creates a rich opportunity to build a sense of community and space for cultural critique and storytelling. We believe that we can make that happen… and have asked for another chance to get it 100% right. On that note, we are set to host a second comedy night as we close out the summer. 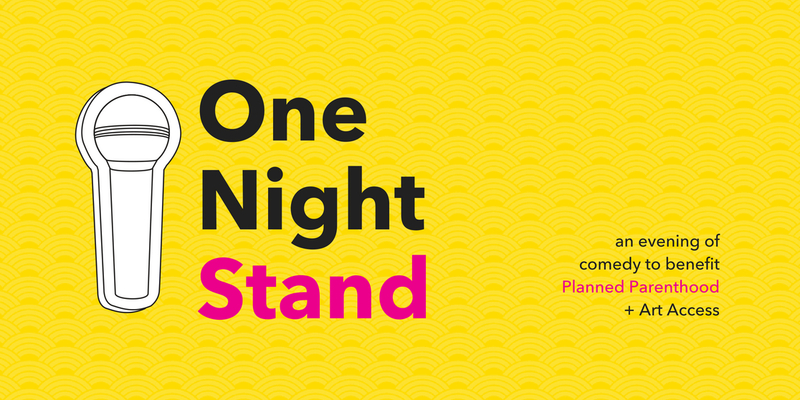 Planned Parenthood has teamed up with Art Access, KRCL, and an incredible planning committee to host One Night Stand on September 20th at SugarSpace in Salt Lake City. Danielle Susi has carefully curated a line-up of local stand-up comedians and it should be a fun, and inclusive, night!